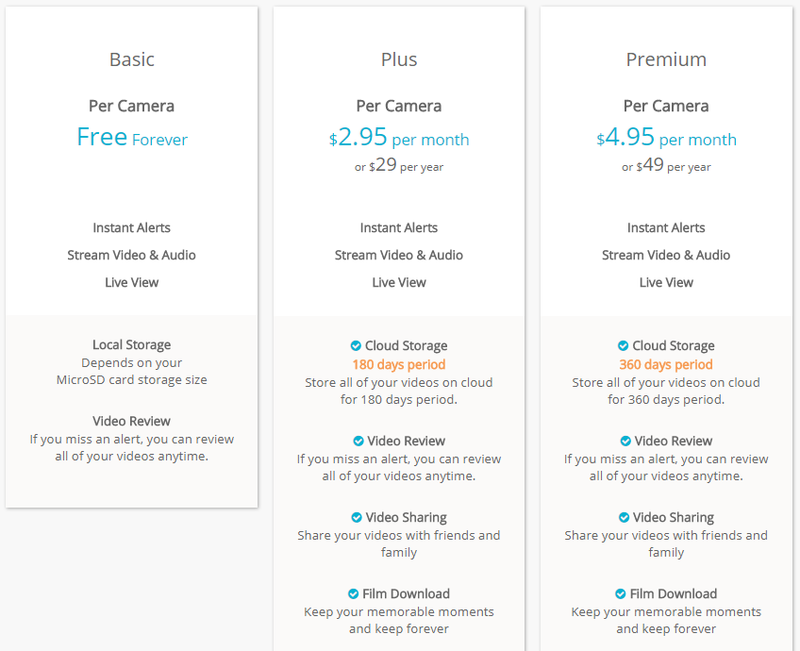 SpotCam Ring and Ring Pro are built to work with our solid cloud service and there are three types of subscription plan available as shown below. SpotCam Ring Basic is a free service for you to view SpotCam video anytime anywhere, and all recorded data will be save in local microSD card for playback. SpotCam Ring Plus/Premium on other hand, is an optional paid service for you to backup all recorded file on cloud server and keep it for 180/360 days. You don’t need microSD card to enable these optional plans. Our cloud storage server saves your video with encryption and your privacy is guaranteed that nobody can access to your video clip without your permission. With optional SpotCam Ring Plus/Premium plan you can also freely export your recorded video and download or share on Facebook or Youtube.